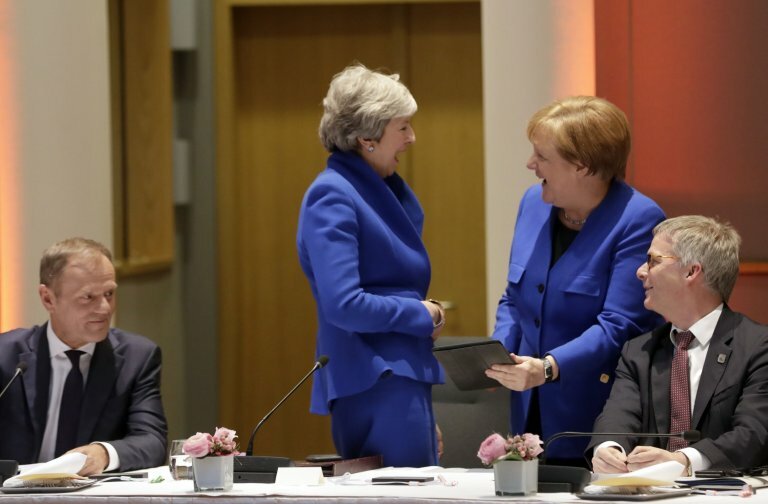 Another late-night emergency EU summit in Brussels took place on Wednesday and, as always, the theme was Brexit — a second extension to the Brexit deadline to be precise. But no one quite got what they wanted. Theresa May sought to delay the UK’s departure until June 30, which is just before the soon-to-be elected new European Parliament is due to hold its inaugural session. Some of the powers that be in the EU felt that there was little chance of getting the Brexit deadlock in Parliament sorted by then, so wanted a one-year extension instead. Yet others, like President Emanuel Macron of France and the Austrian and Romanian governments, were skeptical about granting a long extension for fear that the parliamentary merry-go-round in Westminster would never stop. The compromise was an extension until Oct. 31, which coincidentally marks the end of EU Commission President Jean-Claude Juncker’s term in office. There will be a summit in June to review progress and the UK can unilaterally shorten the extension in case Parliament votes for May’s Brexit deal. In the meantime, the UK needs to field candidates for the elections to the EU’s Parliament at the end of May. A failure to do so would constitute a dereliction of duty and immediately end the UK’s membership in the EU. The UK also had to undertake that it would act as a responsible full member of the EU with all the obligations that brings — financial and otherwise. This compromise was a hard pill to swallow for both May and the EU leaders. The latter desperately want to leave Brexit behind in order to concentrate on the other issues the EU faces, such as trade tensions with the US, the relationship with China, climate change, and the economic woes in several member states. Juncker’s frustrations could be felt during his press conference in the wee hours of Thursday morning, when he exasperatedly quipped that all European newspapers were writing about was Brexit. Had the journalists and their publishers not noticed that the EU had just signed a groundbreaking agreement with China? May might have kicked the can down the road a little further, but it must have been a humiliating experience. Long gone is the day when the then-newly anointed prime minister firmly stated that Brexit meant Brexit and she was going to make a success of it. She had reiterated time and time again that she would deliver an orderly, on-time Brexit. Under her guidance, Britain was set to leave the EU at 11pm GMT on March 29, 2019. What is much worse for the PM than the personal humiliation is the fury awaiting her from her backbench MPs upon her return to London. The knives have been out for her for quite some time and she will be even more beleaguered in the months or maybe only weeks to come. The extension has probably rendered May’s position more rather than less tenuous. The going will be tough in Parliament. The hard-line Brexiteers in May’s Tory party, especially the members of the pro-Brexit European Research Group, are seething with anger. They want out at any cost. And, as long as the “Irish backstop” stays in the withdrawal agreement, May will also not get the Democratic Unionist Party on her side. Its 10 MPs prop up her minority government, but the party fears the backstop might end up creating a permanent border in the Irish Sea, which goes against its mission to keep Northern Ireland firmly within the Union. May might have kicked the can down the road a little further, but it must have been a humiliating experience. In the end, both sides, the EU and the UK, had little choice but to reach a compromise in Brussels. A no-deal Brexit would have had devastating effects on the UK economy. Neither the UK nor its trading partners in the EU wanted to stare the economic consequences of a disorderly Brexit in the face. This may be the case, but therein also lies a problem: The extension prolongs the uncertainty for businesses. Business needs clarity. Investments and hiring decisions will be postponed across the UK economy until the parameters of the future relationship between the EU and the UK are known. This will have an adverse effect on job creation. How did we get here and what is the way forward? May probably boxed herself into a corner when she laid out her “red lines” too early in her Lancaster House speech in 2017. She tried to cater to the Brexiteers in her party without sufficiently consulting her senior civil servants, who “live” the UK-EU relationship on a daily basis. She also waited too long to reach across party lines. Her negotiations with Jeremy Corbyn’s Labour Party all but stalled in the run-up to the latest Brussels summit. Regrettably, the prime minister made several statements blaming Parliament for not agreeing to her Brexit package, which has not endeared her to the people’s representatives. She did so again on Thursday morning, which will not make it any easier for her to get her Brexit deal passed. In the end, MPs will need to overcome three major hurdles. Firstly, Brexiteers and Remainers need to communicate on the issues. Remainers put economic concerns front and center, while Brexiteers see sovereignty (taking back control over borders, law and money) as the greater good. So far, they have argued at cross-purposes. Secondly, the party leaders will need to put country before party, which will be hard. Brexit has not only split the country right down the middle, it has also divided the two main parties, the Conservatives and Labour. Both May and Corbyn are products of their parties and they fear that a compromise on Brexit might split their parties. They will probably have to overcome that fear if there is to be a resolution in Parliament. Finally, Donald Tusk’s reminder that the UK’s parliamentarians should not waste the time the latest extension affords them may linger in many an observer’s ears. The question is: Have the MPs listened? Let us hope so for the sake of the country.